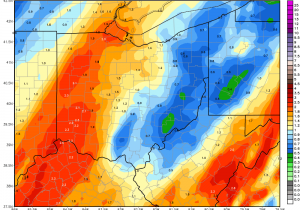 Home / Crops / Dandelions, cash crop for Ohio? 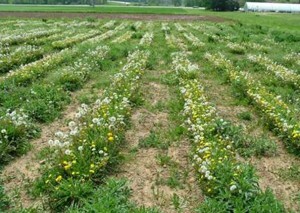 Dandelions, cash crop for Ohio? Natural rubber is a critical renewable resource used for countless products including hoses, car parts and tires. Natural rubber has properties superior to those of synthetic rubber and is required for the most demanding uses, such as airplane and truck tires. Currently, the United States is totally dependent on natural rubber derived from rubber trees grown in Southeast Asia. Growing international demand for natural rubber has led to steep price increases and even shortages. While Ohio is the home to many multinational rubber corporations and rubber production and manufacturing facilities, these companies lack a domestic source for their most important feedstock. 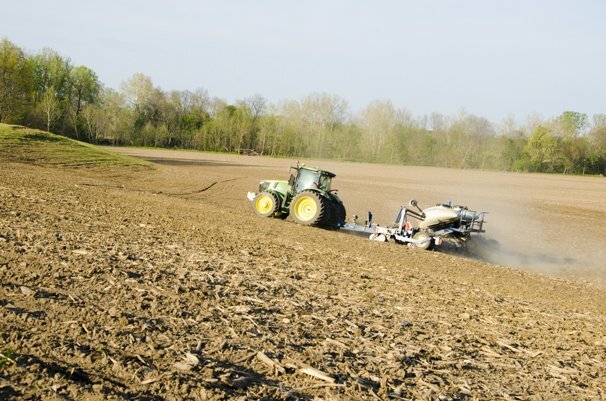 Research at the Ohio State University OARDC is addressing this issue by developing a new crop that can be grown in Ohio and other Northern states to supply rubber. The plant is known as Taraxacum Kok soghyz (TKS) or Russian dandelion and has been given the trade name, “Buckeye Gold.” Analysis of rubber samples from this plant by the University of Akron Polymer Research Center has shown that they have properties nearly identical to those of conventional natural rubber from rubber trees. TKS was previously grown as a crop during World War II in both the U.S. and the Soviet Union to supply rubber for the war effort as Asian rubber plantations came under the control of the Japanese. Today, OSU Department of Horticulture and Crop Science researchers have developed high yielding TKS varieties that produce up to 15% rubber in their roots. In addition to rubber, the roots contain a storage carbohydrate called inulin, which is similar to starch except that it is primarily made from fructose instead of glucose. Inulin has a high value as a low calorie sugar, fat and flour substitute. Ultimately, a one acre plot of these plants could provide enough rubber to make 250 tires and more than two tons of inulin. 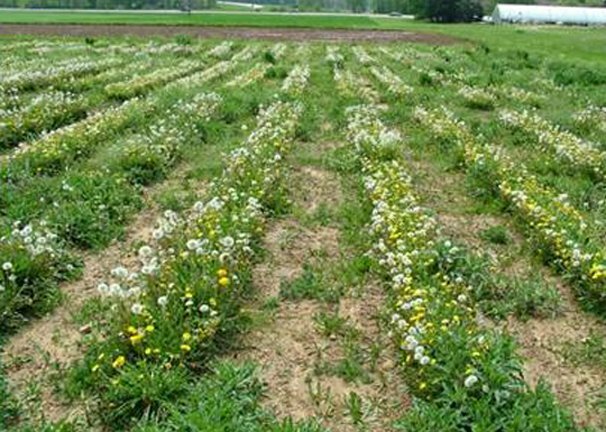 To date, the germplasm developed by OARDC has been cultivated in field and high tunnel systems in Wooster, as well as at field sites in Ohio, Ontario and Oregon. Once the plants have been grown, the work has only just begun for OARDC Agricultural Engineers. New harvest equipment capable of removing intact roots from the soil, removing the tops of the plants, and reducing the particle size of the roots without shearing and reducing rubber quality are needed. Once the roots have been collected, optimal methods for drying and storing them, so that they can feed a processing plant over a one year cycle, must be developed. Studies are underway to engineer low cost drying methods and test the effects of storage conditions on rubber quantity, quality and inulin content. Great effort has been put toward the design and development of commercial scale biorefineries that eventually will process the harvested root crop. To this end, a pilot plant has been designed and built by Process Engineering Associates and Louis Perry Engineering at OARDC in Wooster. The water based pilot plant process uses roller mashing, counter current extraction, pebble milling, flotation separation and screening to separate the roots into three components: rubber, a syrup containing the inulin and other sugars and the rest of the root called “bagasse.” The pilot plant is computer controlled such that each unit operation can be controlled or programmed using touch screens located throughout the facility. The pilot plant is being used to optimize the various processing steps and generate sufficient rubber for mechanical testing and tire prototypes from the 2012 harvests. 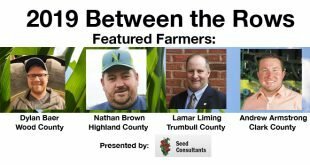 It is hoped that in the future, Ohio farmers will be given the opportunity to grow this new crop and help the U.S. reduce its dependence on a foreign natural rubber. Very cool. Planning on moving back to Ohio in a few years and looking into what I will grow and stumbled on this article. Considering the pilot plant is the bagasse from this plant material combustible? US Sugar dries the bagasse from sugar cane processing and uses it in specially modified boilers to generate steam to generate electricity for their operations. I was wondering if this could be done with this application as well assuming you were growing a sufficient amount of course which may be a stretch (no pun intended).